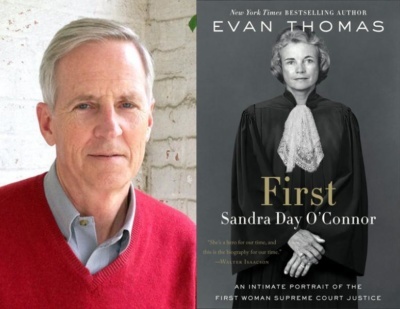 The Alma and Joseph Gildenhorn Book Series features Evan Thomas discussing his new book First: Sandra Day O’Connor (Penguin Random House). Oscie Thomas will serve as moderator. The intimate, inspiring, and authoritative biography of Sandra Day O’Connor, America’s first female Supreme Court justice, drawing on exclusive interviews and first-time access to Justice O’Connor’s archives—by the New York Times bestselling author Evan Thomas.